Steve Pearce led the way for the Red Sox, as he hit three home runs, a solo shot in the third, followed by a three-run bomb in the fourth, and a two-run homer in the sixth. Jonathan Holder relieved him in the fourth, and allowed 7 runs on 5 hits and a walk, and did not record an out. In the first game of a doubleheader, Chuck Knoblauch led off the game with a homer, and Oakland got three in the second on an Ed Sprague two-run homer, followed by a run coming in on a Mike MacFarlane fielder's choice. The Yankees responded with four in the third, on a Bernie Williams RBI single, a Chad Curtis two-run single, and Tino Martinez scoring on a wild pitch. Darryl Strawberry hit a two-run homer to make it 7-3 in the fifth, and after Ben Grieve got an RBI single for Oakland in the seventh, the Yankees tacked on three in the ninth on a Williams RBI single, followed by a two-run single for Tim Raines. Ramiro Mendoza earned the win, improving to 7-2, as he went 6 1/3 in a spot start, allowing 4 runs (2 earned) on 7 hits and 2 walks, with a strikeout. Mike Stanton closed it out to earn his sixth save, as he went 2 2/3 innings, and didn't allow a hit or walk, while striking out three. 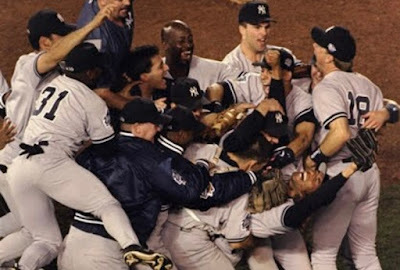 Where they stand: The 2018 Yankees (68-39) have now fallen 11 games off the pace of the 1998 team, which was 79-28 through 107 games. I just want to let you know that I just check out your site and I find it very interesting and informative.I would like to thank you for the efforts you have made in writing this article.